ZM19-T. 19" Platekrāna Augsta spilgtuma, skārienekrāns. Augstas izšķirtspējas 1366x768 rezolūcija. 1000 nit spilgtums. Ievades: HDMI, DVI, Kompozīta video (x2). N2K savienojamība priekš B&G aizmugures apgaismojuma vadības. Nav iekļauts videokabelis un skārienvadības kabelis. 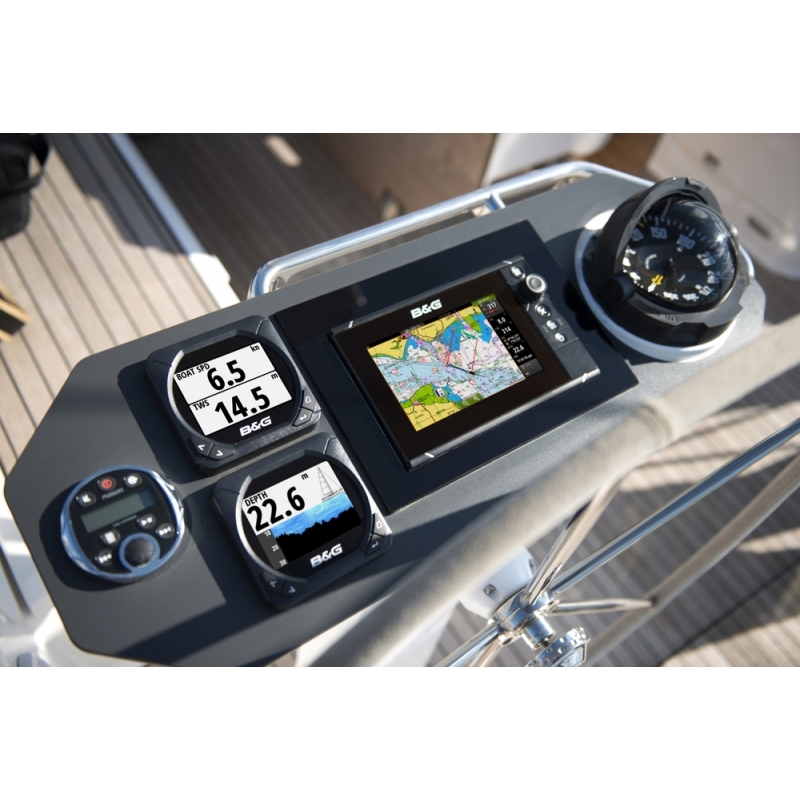 Designed for cruising yachts, center consoles and sportfishing boats, the Simrad MO24-T widescreen monitor maximizes view while minimizing dash space. 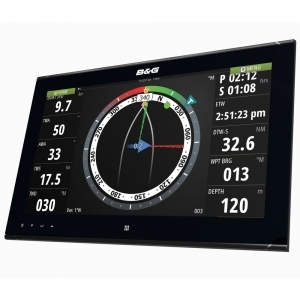 The MO24-T multi-touch monitor is suited for glass bridge installations. The H5000 instrument system is powered by a smart Central Processing Unit (CPU), capable of running three levels of software, Hydra, Hercules and Performance. Performance is specifically designed for larger yachts. 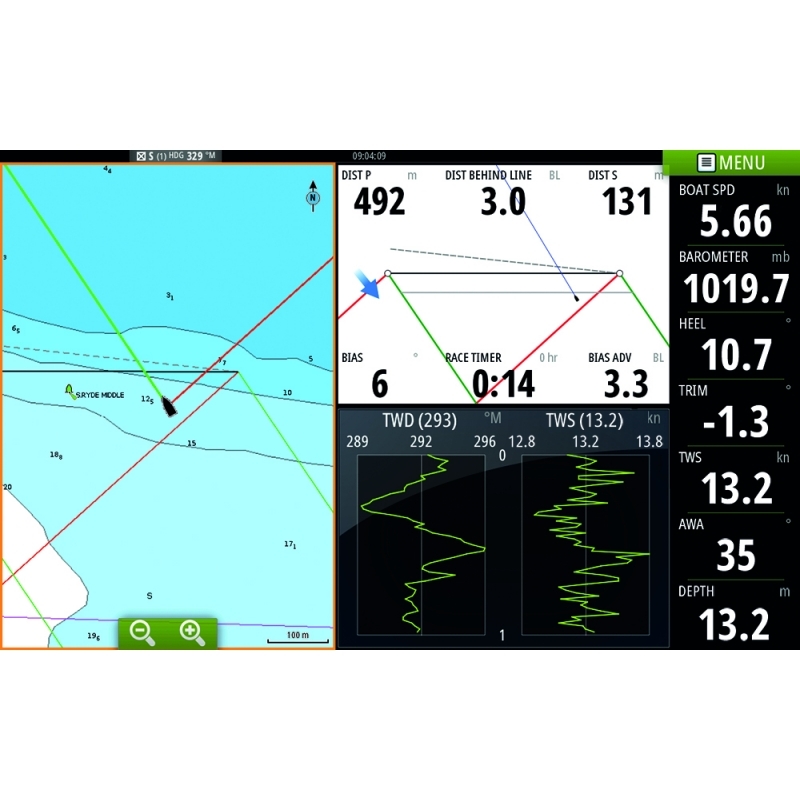 In addition to the benefits of running a CPU delivered by Hydra, plus the racing features of Hercules, Performance introduces features to facilitate the monitoring of complex systems typical of larger yachts such as support for dual wind sensors. Additionally, the system provides support for dual rudders, including advanced features like rudder toe-in angle. Performance also monitors multiple daggerboards; port, starboard, centre and provides an active draught value (depth below the daggerboard). 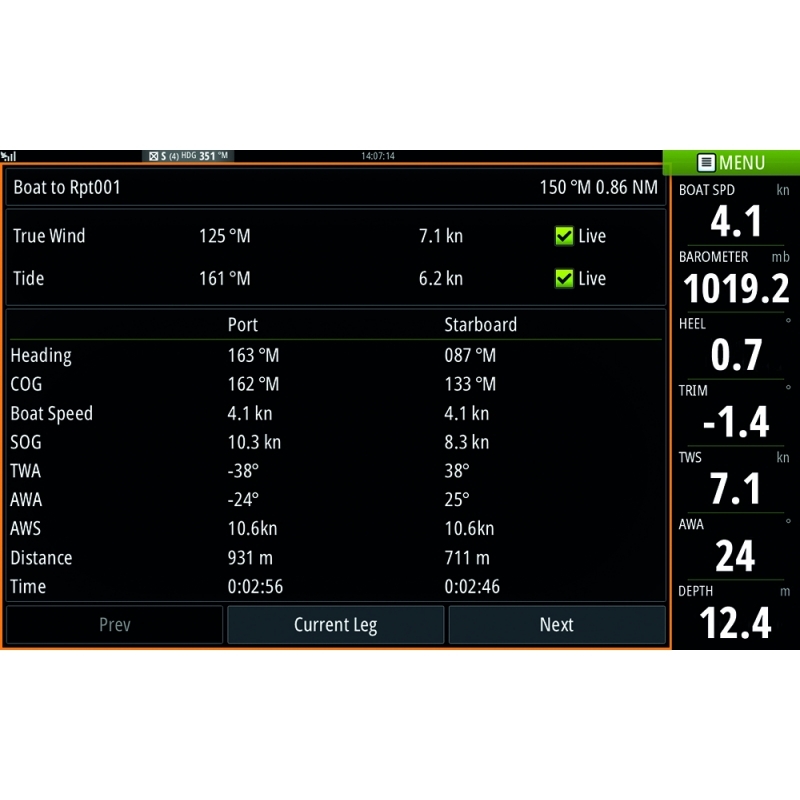 Further bespoke functionality delivered by Performance for sailing large yachts includes the tracking of ground wind speed and direction, Rate of Turn and enhanced polar performance targets. 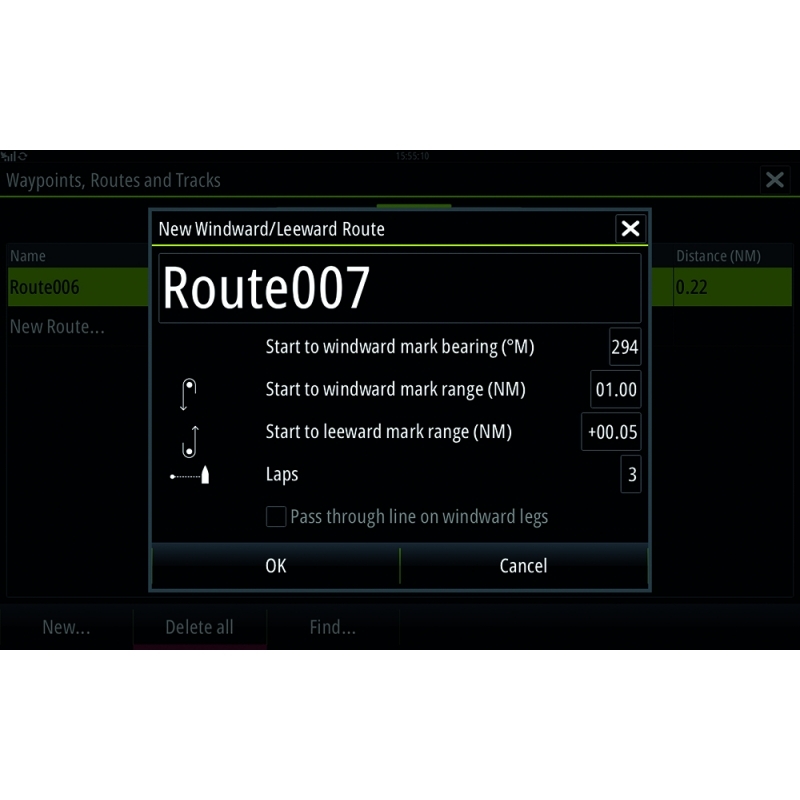 It is straightforward to set up and calibrate with the new H5000 web-browser interface, however complex the system. User Defined Functions: This intuitive system lets you define up to 16 user functions for the ultimate in configuration flexibility. GoFree™ Wireless Technology: Expand functionality even further with third-party apps and stream data via GoFree, B&G’s powerful wireless solution to remotely view H5000 instrument data via your tablet or smartphone. Requires wireless module. Triton² Digitālais displejs: Daudzfunkcionāls burāšanas instruments un autopilota displejs ar 4.1 collu krāsainu ekrānu, optiski piesaistītu nulles kondensācijai un kas aprīkots ar LCD tehnoloģiju izcilam kontrastam un redzamībai visos apgaismojuma apstākļos. 8mm montāžas augstums atbilst citām B&G MFD’s un sistēmas komponentēm.